In a fitness world that skews toward the extreme, the “Be kind to yourself” sign hanging outside Bodyism signals a very different gym. 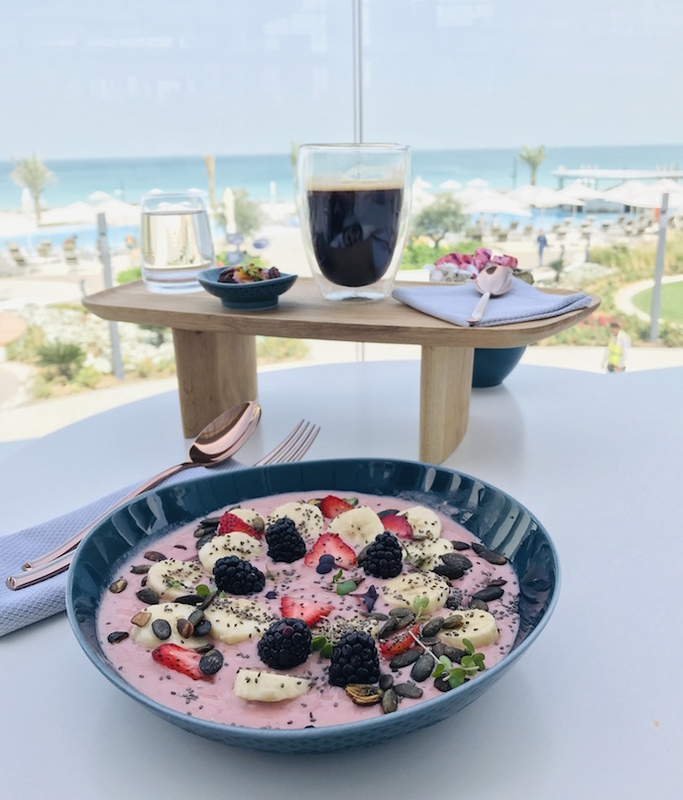 Abu Dhabi’s eco-forward Jumeirah at Saadiyat Island Resort is fitness-forward too, opening the first branch of the holistic concept in the UAE earlier this year. Bodyism is a luxury gym, fitness, yoga and Pilates studio, soon to be joined by an adjacent cafe featuring smoothies and snacks, incorporating Bodyism’s signature supplement powders. (A limited Bodyism menu is already available in the hotel). Bodyism’s founder is wellness guru James Duigan, a former trainer who grew disenchanted with what he saw in the world of fitness. That’s why his gym is based around four lifestyle pillars: mindset, movement, sleep and nutrition. Kindness, self-acceptance and empowerment are driving principles. 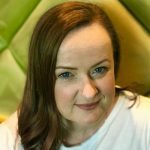 Sarah Jane Horn, a South African who travelled with her British husband Craig Fletcher from London to open the gym, explains that Bodyism appealed to her because she was a yoga teacher before becoming a trainer. 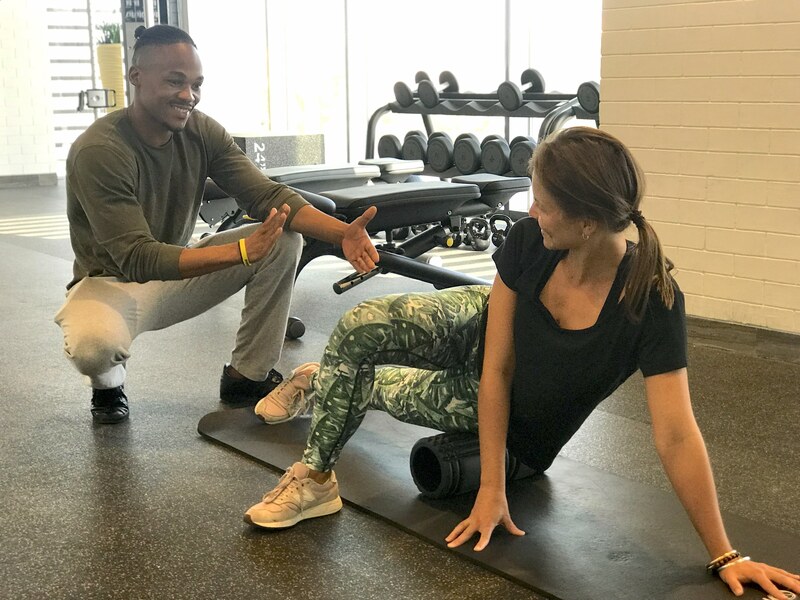 Foam rolling and muscle activation are a key part of Bodyism workouts. As for those four pillars, mindset takes primacy, explains Horn. “If you’re feeling good mentally, you’re going to start making changes to your body,” she says. As for movement, Bodyism’s fundamental aim is to provide an energetic and invigorating workout that doesn’t place undue stress on the body. Bodyism’s signature hour-long Warrior and Blueprint workouts are self-paced and begin with mobility and activation. That means stretching, foam rolling and waking up big muscles like the shoulders and glutes before requiring anything major of them. 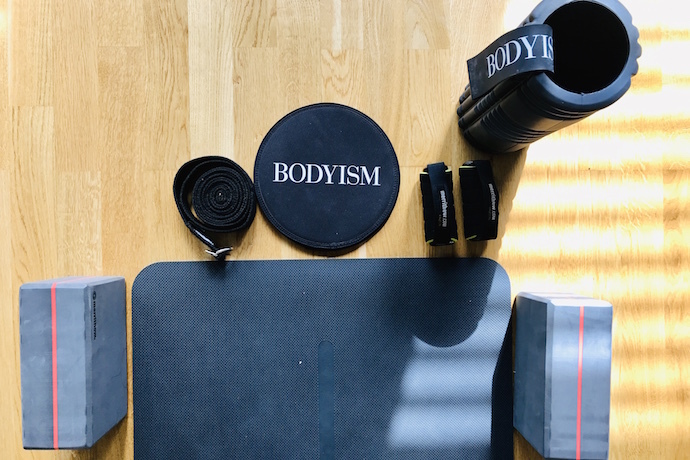 Bodyism Warrior is equipment-based interval training, with 40-second, high-intensity bursts using weights along a circuit of 10 to 12 stations. Back to the burpees. Horn explains that you might see a part of a burpee in a Bodyism class, but will never be asked to do the whole thing. Blueprint classes are more bodyweight based, incorporating bands and sliders. There is the same mobility and activation prior to the class, which involves two circuits. Bodyism has yoga and pilates. Bodyism also offers Pilates classes and Pilates reformer, and three styles of yoga: B-Strong, focusing on strength of mind and body, B-Free, yoga for mobility and B-Calm, a mix of restorative, yin and meditation. 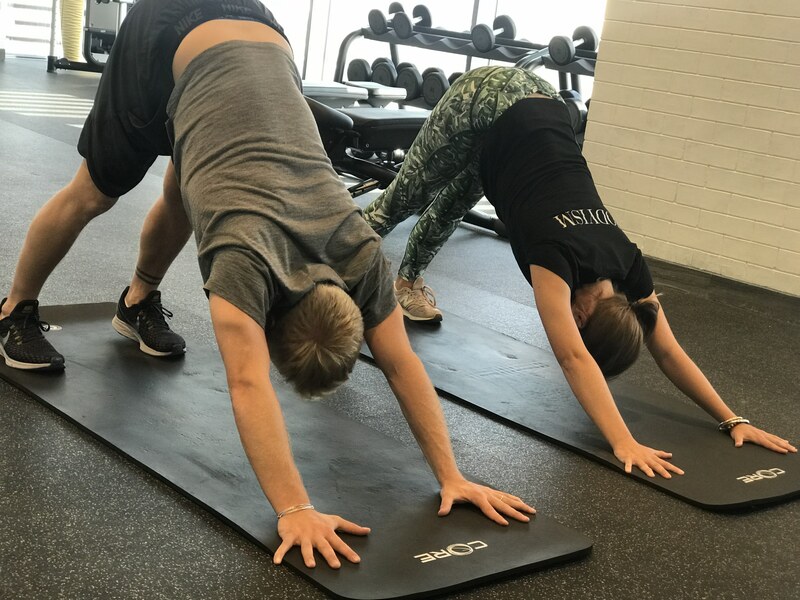 Personal training is fundamental at Bodyism, and the gym’s Platinum package offers unlimited sessions. The staff are prepared for anyone from the first-time exerciser to elite athlete. Individual Bodyism memberships begin at Dh21,000 annually, with benefits including hotel beach and pool access as well as discounts.